Why buy a Season Pass? Because you deserve more than just one day of the best family fun around. Get unlimited visits and the best entertainment value ever! Buy your 2019 Season Pass now and get these Pass Holder exclusives! Unlimited amusement & water park admission! 2019 Season Anytime! These tickets are automatically loaded on your Season Pass ID card. Please visit us at Guest Relations or any open ticket booth when you wish to redeem these tickets. 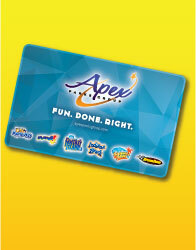 Our cashier will scan your Season Pass and issue a wristband for your guest. Free admission to special events! Rockin' the Beach Summer Concert Series 2019 Anytime! Already a Season Pass Holder? Access your Account Manager here. Limited time offer. Not valid with any other promotion or discount. May upgrade to a Season Pass on day of visit to receive Season Pass if not purchasing Season Pass outright. Upgrade may require an additional fee. 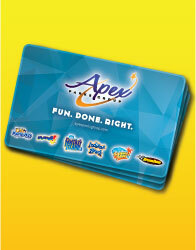 $41.99 price per Pass only valid when purchasing three or more Season Passes in the same transaction. Individual Season Passes may be purchased for $44.99 each. 2019 Season Pass valid any regular operating day through December 31, 2019. Excludes buyout dates when the park is closed to the general public. Purchased for individual use. Season Passes cannot be split or shared. Benefits may not transfer between parks. Free parking subject to availability. Tickets for friends not valid for use on the first Season Pass visit. Valid email address and active e-news subscription are required in order to receive entitlements for monthly offers on food and games. 2019 Season Pass fully priced at $84.99. Sales tax and applicable fees not included. Other restrictions may apply.